September 03, 2017, 02:57:57 PM by webmaster. 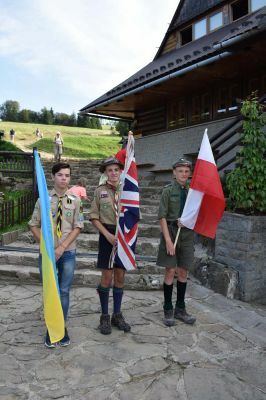 The Order of World Scouts (OWS) held their biennial 'Get Together 2017' in Poland, Scouts and Scouters from the 2nd. Goring & Streatley Scout Group took part, along with the 1st. Wessex and later visiting only Krakow the 1st. Newburgh & Dalton and 1st Read & Simonstone. The OWS 'Get Together' started in the beautiful city of Krakow, where 64 Scouts plus Scouters (Leaders) both Boy Scouts and Girls Scouts from Poland, Ukraine, Germany and the UK gathered and enjoyed two days of sightseeing around the city, visiting the famous Church of St. Mary in the large square where on the hour a trumpet players appears at the top of the spires to play; then we visited the excellent art gallery; the old fort and several other attractions; also enjoying the traditional Polish food. We were given a very warm welcome and David Cookley Grand Scout of the OWS addressed and welcome the Scouts to this the 4th. OWS 'Get Together'. We were expecting/hoping to be joined by 16 new OWS members from the Nepal Peace Scouts, but unfortunately the bureaucracy and the complication presented by the Schengan Accord, granted one visa but delayed the other 15 in the back/forth of negotiations between the Indian Embassy acting for the Nepal Scouts with the Swiss Embassy acting for the Schengan Accord. The Nepal Scouts were the ones to suffer who had been looking so much to joining with us. From Krakow, we all moved on 135km to the Pieniny Mountains that border Poland and Slovakia, taking over the large mountain lodge perched at the top of the highest mountain in the range. One morning the lodge was above the low-lying clouds, a very strange feeling. During the three days spent in the mountains the Scouts undertook a very challenging hike of 25km over some of the most rugged terrain, Scouts who had done 'bouldering' in the UK consider the hike a far greater challenge. The hike took them to the peaks of the highest mountains in the range, across wide streams, up 70 degree pitched shale slopes, and across the border into Slovakia, and on a hot day. The different nations' Scouts and Scouters budded-up and helped each other, and all arriving back at the mountain lodge on the scheduled time, happy and telling stories of their great adventures on route. 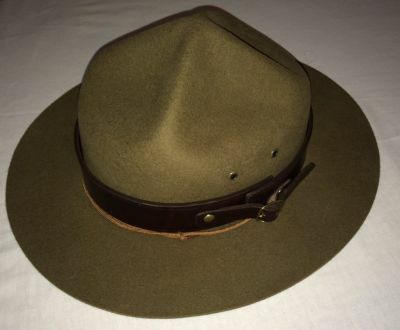 This was the most strenuous that our UK Scouts had ever undertaken but what memories! Apart from the hike, the Scouts held two great camp fires with international songs and stunts, also games and other competitions. December 31, 2016, 02:04:27 PM by webmaster. Ten Wolf Cubs from 2nd Goring and Streatley, joined five Wolf Cubs from 1st Upper Rissington took part in a Wolf Cub Sleepover and BBS Get Together. The Wolf Cubs arrived at the 1st Newbury Scout hut at around 14:00 on Saturday, all very smartly turned out in their uniforms. 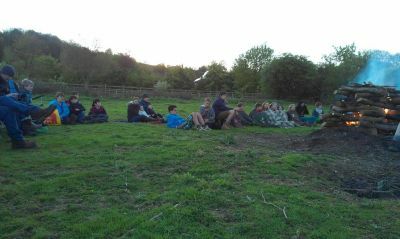 After Grand Howl, the Cubs played a few 'get to know you' games and then some favourite cub games. All accompanied with the warmth of the log burner in the hut. The 1st Newbury Scout hut has a very lovely camp fire circle so the Cubs proceeded to build a very large camp fire and learn about the correct way to do it under the instruction of some scouts. We would be having a camp fire later, but first we would have a small hike around Newbury. The hike would take us along the towpath of the Kennet and Avon Cannel and then through the Town Centre. June 19, 2016, 06:06:55 PM by webmaster. Senior Scout Jack after many years in the 2nd. Goring & Streatley BBS Scout Group and passing many tests and badges to develop good citizenship by forming his character and developing skills in leadership, observation, obedience, self-reliance, inculcating loyalty and thoughtfulness for others; service to the public and promoting his physical, mental and spiritual development has finally achieved the highest accolade award for a Scout, that of the 'Grand Scout Master Crown Award' which is identical in the training and skills to be achieved as required for the Boy Scout Association's 'Queen Scout Award' before this changed in the 1960's. The last Senior Scout in Goring or Streatley to gain such an award was approximately 1958/1960 this demonstrates very high standard that this award commands and is acknowledged both publically, by employers and also counts towards university entrance. May 22, 2016, 08:02:40 PM by webmaster. 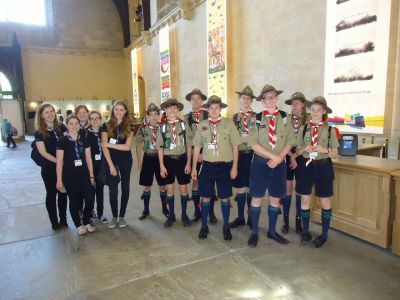 This year's Association's St. George's Day Parade and Service took place in Sherborne, Gloucestershire where a new BBS Scout Group had just been formed. 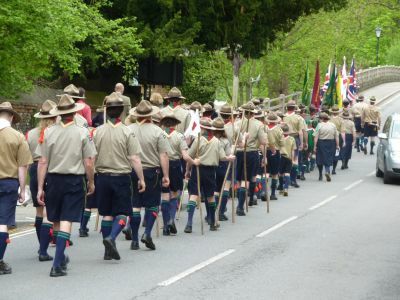 The main parade comprised contingents from four BBS Scout Groups in the Southern Area. The parade was led by a bagpiper and drummer so it was easy to maintain a good marching pace and all in step and how very smart the Scouts, Wolf Cubs and Beavers looked marching along in step. The parade was just over a mile long to the beautiful Mary Magdalene Church at Sherborne that adjoins the very historical and very grand manor house. Just before the church there was a Saluting Base occupied by the High Bailiff of Northleach, his wife and old members of the BBS from early Scout Groups in Cirencester and Gloucester. The service was prepared by David Cooksley, Chief Commissioner, led by Canon Ron Lloyd (a Scout Pre-APR Wood Badge holder) and involved as many of the scouting congregation as possible from all the groups in attendance. After the service, the Scout Groups marched back up hill to the start point, where the 1st. Wessex and 1st. Sherborne BBS Scout Groups had camped for the weekend and had also prepared an excellent hog roast for all attending the parade. After a social gathering with the other groups, the Scout Groups dismissed and it was agreed as a very successful event with much praise for local residents, parents and onlookers, particularly on how very smartly uniformed all the Scouts, Wolf Cubs and Beavers. September 12, 2015, 11:07:54 AM by webmaster. June 21, 2015, 11:31:15 AM by webmaster. May 04, 2014, 12:53:11 PM by webmaster. May 04, 2014, 11:26:58 AM by webmaster. 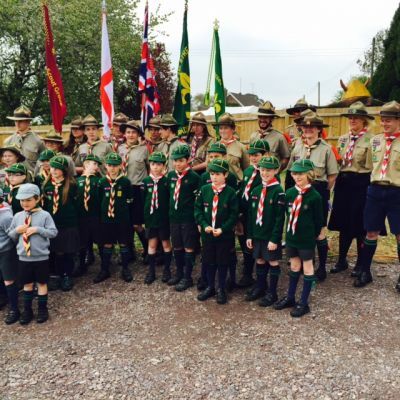 This year's Association's St. George's Day Weekend Camp took place in Streatley-on-Thames, Berkshire. Despite the very wet start we pitched the camp and got on with the planned weekend activities, and blessed with good weather for the remainder of the weekend. The 40 plus Scouts, Senior Scouts, Wolf Cubs and Scouters, took part in a geocaching exercise on the Saturday morning. In the afternoon there were games and a Semaphore Flag signalling competition. In the evening the villages' residents were invited to a fantastic traditional Scout Camp Fire, it was well attended and all were given burgers or hot dogs after. The camp was visited by lots of local residents out walking who complemented the Scouts on their camping standards and general organisation, 'traditional Scout camping at its best' one commented.